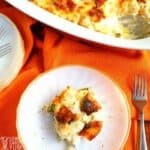 A cheesy chicken vegetable casserole loaded with healthy vegetables. 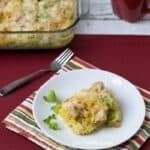 This easy low carb chicken casserole is sure to become a family favorite. Casseroles are the ultimate comfort food. 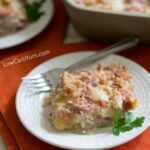 That’s why I have so many low carb casserole recipes on the site. 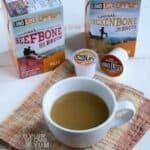 Not only do I love them, but they are dishes that even my picky eaters love to eat. And when I load the dish up with cheese, I can sneak in some vegetables without anyone complaining. It’s one of the easiest ways to get kids to eat their veggies. 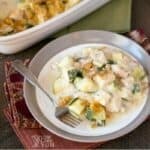 My husband is also a picky eater, but he loved this healthy chicken casserole with vegetables. And he didn’t even notice that I used radishes as mock potatoes. That’s how I knew this chicken vegetable casserole was a winner! 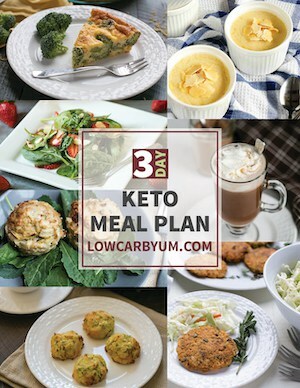 Are you looking for a simple keto low carb dish to please the whole family? 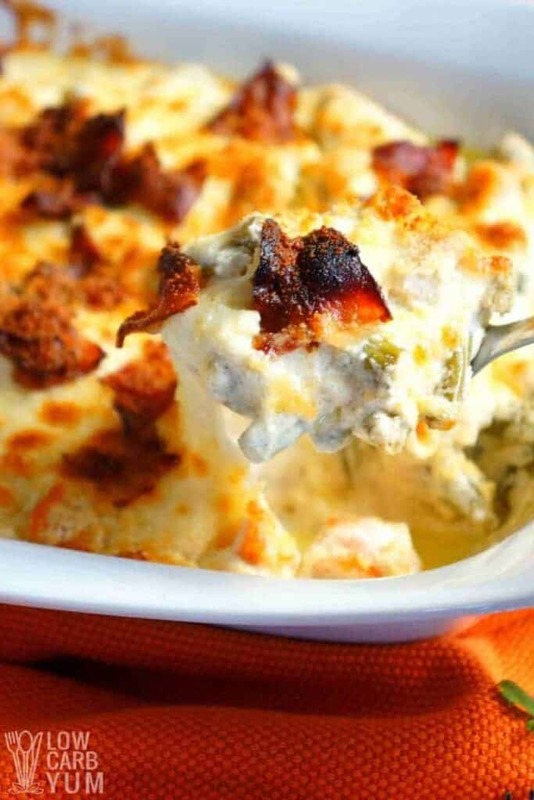 If so, be sure to give this chicken cheese vegetable casserole a try. 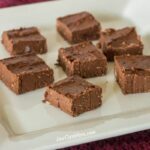 It’s a low carb recipe that’s full of flavor and very satisfying. Having trouble getting the family to eat vegetables? I’ve found that smothering them in a creamy cheese sauce usually does the trick. That way they don’t look or taste like veggies. 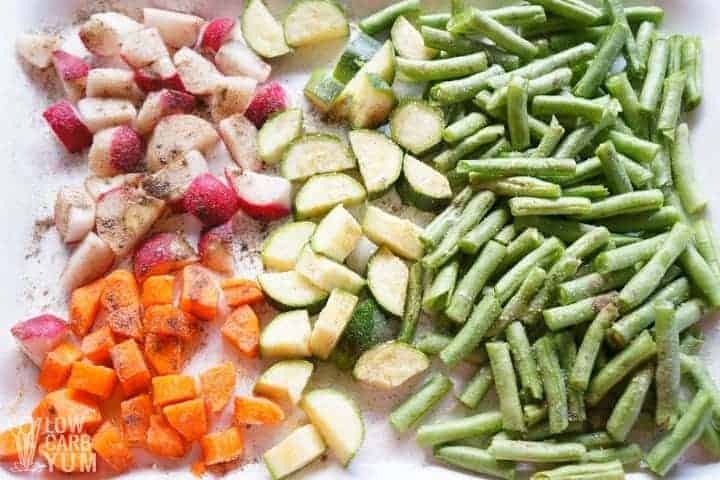 For this low carb chicken vegetable casserole, I start out by seasoning the vegetables. I use a blend of onion powder, garlic powder, oregano, and sage. To add even more flavor, I drizzle on olive oil or bacon drippings first. Next, I brown some chicken pieces in melted butter. I suppose shredded chicken could also be used if you have some leftovers. Once the chicken is browned, the seasoned vegetables are added and sauteed for a few minutes. Then heavy cream, cream cheese, ground mustard seed, and Parmesan cheese are added. Once the cream cheese melts, salt and pepper are blended in to taste. 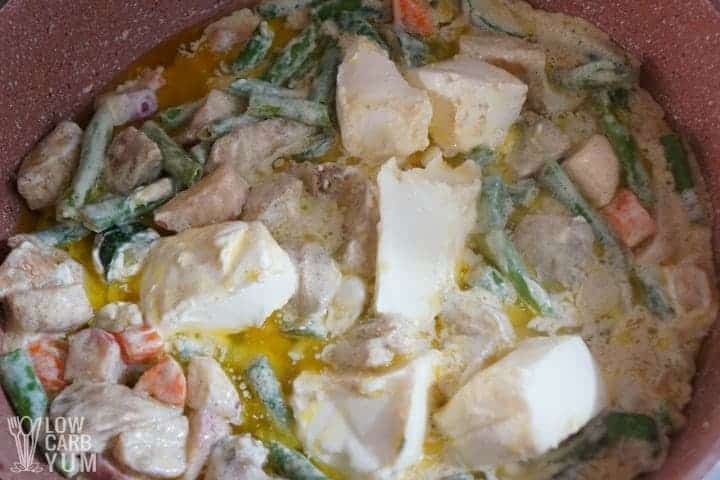 The mixture is transferred to a 9×13-inch casserole pan. Then, it’s topped with a blend of mozzarella and Parmesan cheese. After baking at 450°F for 10 to 15 minutes, the casserole is finished off with a sprinkling of chopped bacon and Parmesan cheese. The pan is returned to the oven to brown up the cheese with takes about five minutes. 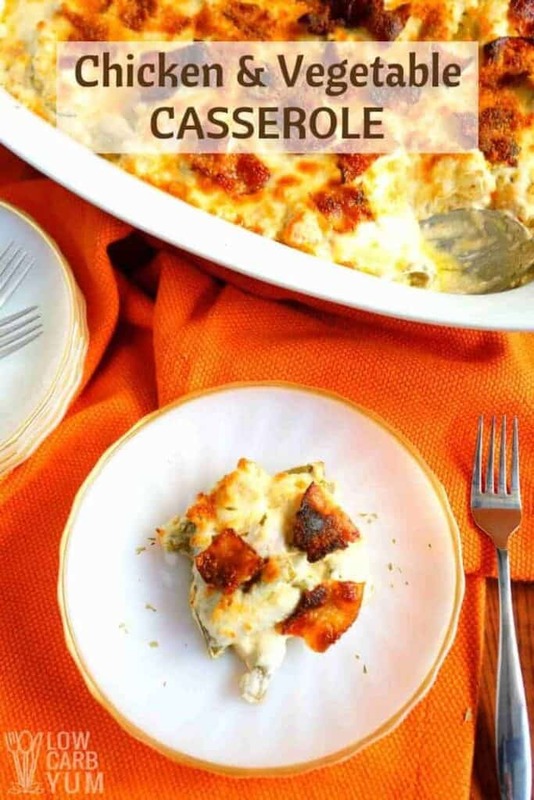 The casserole can be served alone for easy low carb meals. But I like to add in a tossed salad with fresh greens like my baby kale avocado salad. 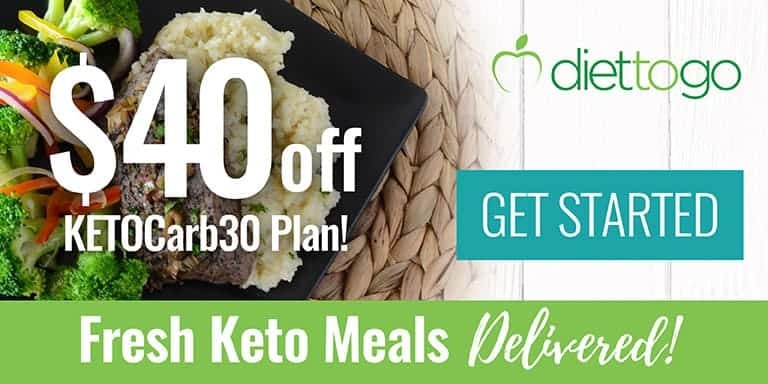 I also like to add in some low carb bread sticks for a complete dinner. 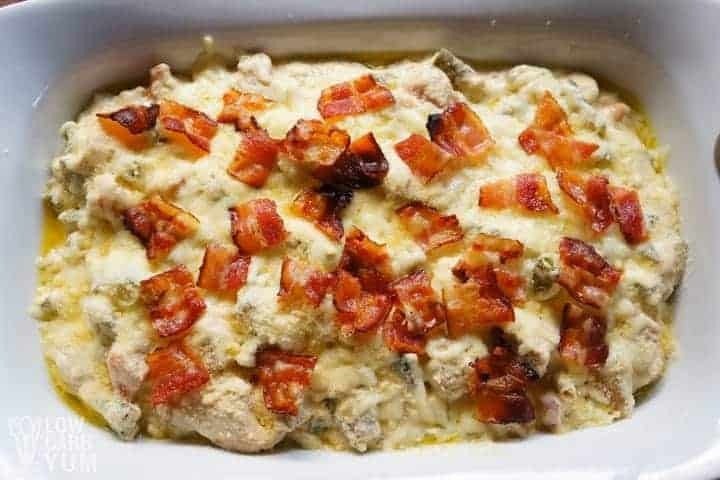 The chicken casserole is also perfect for sharing at potluck or family gatherings. When taking on the road, I like to bake it in my casserole crock pot. That way, I can plug it in when I get to my destination so it stays warm. 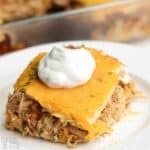 My friend Sarah over at My Montana Kitchen also has a lovely taco chicken casserole. 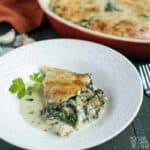 A healthy chicken vegetable casserole that the whole family will enjoy. 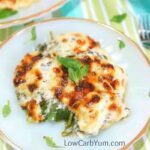 This delicious low carb chicken casserole will get them eating their veggies! In a plate on small bowl, mix Onion Powder, Garlic Powder, Ground Oregano and Ground Sage. Drizzle vegetables with olive oil or bacon drippings. Season vegetables. Set aside. 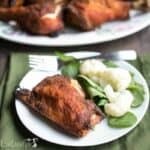 In a skillet, melt butter and brown chicken. Add seasoned vegetables and sauté for 3 to 5 minutes. 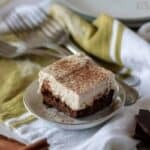 Pour heavy cream, chunks of cream cheese, ground mustard seed and a part of Parmesan cheese. Stir until cream cheese has melted. Season lightly with salt and pepper. Transfer to a baking dish. Sprinkle mozzarella cheese. Add a part Parmesan cheese. Bake in a 450°F preheated oven for 10 to 15 minutes. 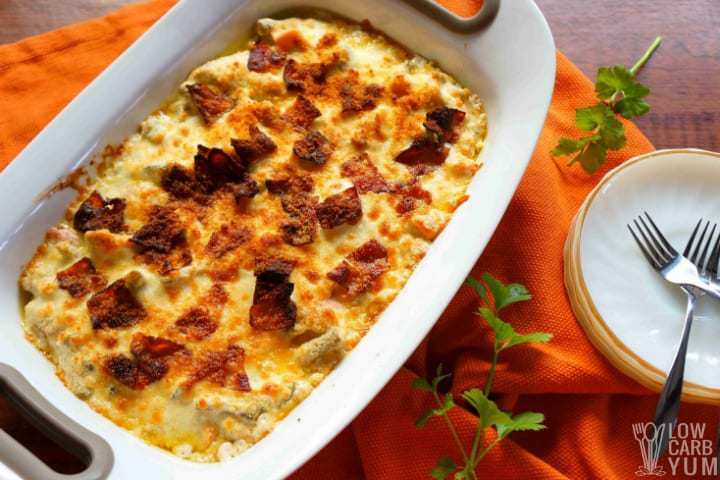 Remove casserole and top with chopped bacon then finish off with the last part of Parmesan cheese. Continue baking for 5 minutes or until cheese is slightly golden. 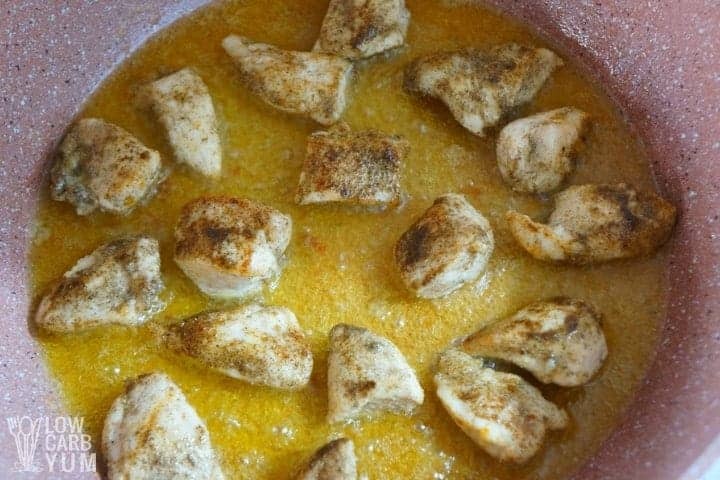 Shredded chicken can be used if cooked chicken is available from leftovers. Vegetables can be changed to suit taste.